The faculty of Tashkumyr was founded in 1990 by transferring the Mailuu-Suu training advisory center (TFD) of the Frunze Polytechnic Institute to the city of Tashkumyr (License AL No. 067). The founder of the faculty and the first dean was Ph.D., professor Dzhumagulov Sagynbek Dzhumagulovich, now working as the first vice-rector of KTU. Razakova. In 1993, before being appointed to the position of dean of the faculty of Ph.D., associate professor Shaydyldaev Busurmankul Anarbekovich, for a year the duties of the dean were performed by Ph.D. Yzabekov Abduvali Yzabekovich. 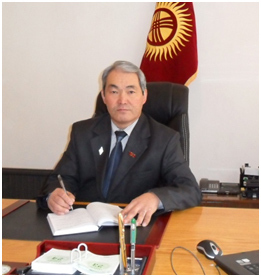 Since 1995, the head of the faculty is Ph.D., associate professor Sooronbaev Manasbek Raishbekovich. At present, the faculty is doing a great job in creating and strengthening the material, technical and educational base of the faculty. Material and technical base. In the operational management the faculty has 3 educational buildings and 1 sports hall. The faculty is provided with educational laboratories, 58 classrooms and classrooms. The educational process involves: 1 reading room with 12 computers, 3 computer classes, 1 multimedia class with Internet connection, 3 copiers, 2 faxes, 5 televisions, 5 graphical projectors, 16 printers, 3 scanners, 95 computers, laptops -6. Staffing The faculty of the faculty consists of 3 4 teachers, of them – 32 full-time teachers, which is 94%, part-time workers – 2 teachers, or -6%. and about. associate professors (without a degree) -1 person; senior teachers -10 people; teachers -8 people; intern-teacher -4 people. In 2016, 3 PhD theses were defended, in 2006, 1 PhD theses. Since 2000, the faculty defended 15 master’s theses. University staff participated in conferences at various levels, including the international level. Students are also involved in scientific work. Students in the performance of term papers and theses use compulsory computing equipment. Many works are fundamental and applied. More than half of the diploma works of students of the faculty have a practical orientation and are made on the orders of enterprises and public institutions. Students of the faculty annually participate in competitions between high school and international and many are winners. The faculty enrolls 865 students, of which: 151 full-time students, 714 students by correspondence. During its existence, the faculty has trained more than 3,000 graduates in the educational standard of the Kyrgyz Republic. Their demand in production, in administrative, educational and cultural spheres.